SFCC has a robust Academic Program Review (APR) process in which a cohort of program faculty participate each year. Each program completes an extensive self-study that is linked to a standardized data set. The self-study requires programs to respond to prompts related to the assessment of student learning, curriculum, enrollment, student and faculty demographics, fill rates, student success, retention, job placement, transfer to four-year institutions, degrees and certificates awarded, and program financial indicators. 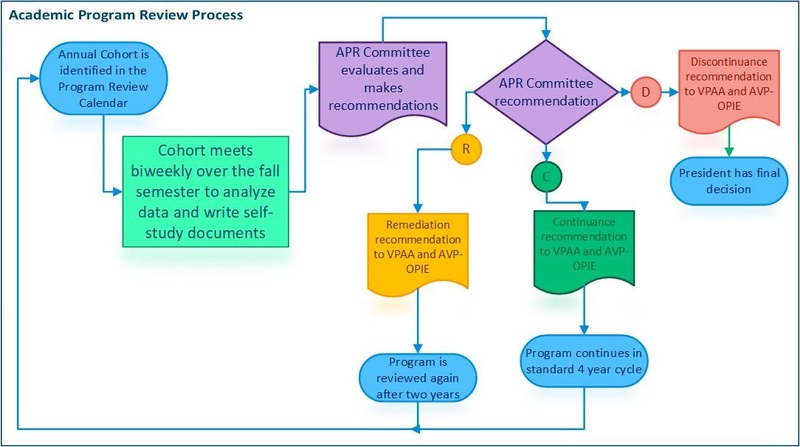 Once the self-studies are complete, a peer review process takes place wherein the members of the APR committee read and evaluate the data and responses. Programs are also required to present to the committee in an interactive session. The committee makes its recommendations to the Vice President for Academic and Student Affairs and the Assistant Vice President of Planning and Institutional Effectiveness. A final determination is made and shared with the college president. Programs may be continued, put on remediation, or discontinued, based on the data and written responses.